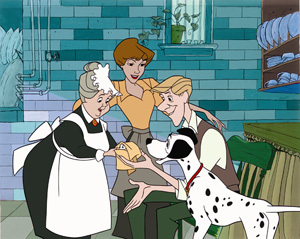 101 Dalmatians has charmed audiences for generations with its irresistible tail-wagging stars, memorable music, and a wonderful blend of fantasy, humor, and adventure. 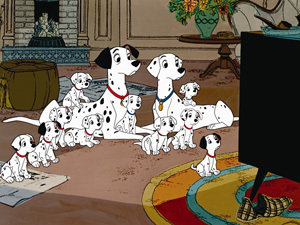 Now, with spectacular new bonus features and brilliantly restored, Walt Disney s beloved animated classic shines like never before in an all-new 2-disc Platinum Edition. 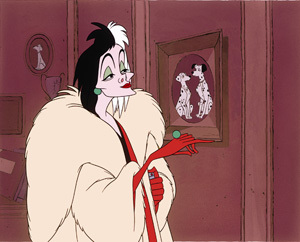 Cruella De Vil, Disney s most outrageous villain, sets the fur-raising adventure in motion when she dognaps all of Pongo and Perdita s puppies. 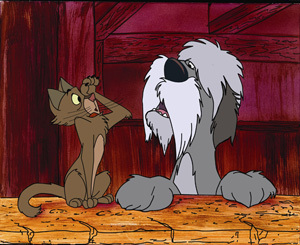 Through the power of the Twilight Bark, Pongo leads a heroic cast of animal characters on a quest across London to rescue them. 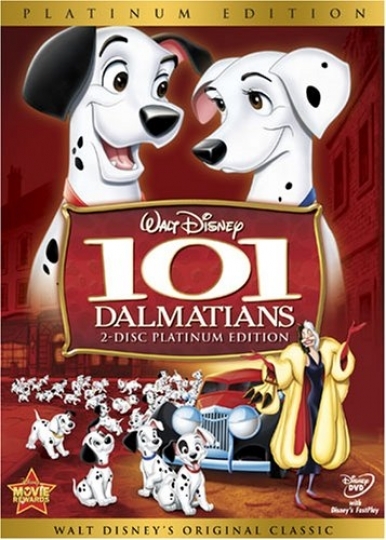 Bring home the exciting 2-disc Platinum Edition with something for everyone, including the all-new virtual Dalmatians game, over 101 pop-up trivia facts, an all-new music video and much more!